Dumped by political dynasts, she struggles unheard. Her humble family is going broke paying medical costs. They now have little but their prayers to fall back on. Will Raj Bhavan help? Over five years have passed since stalkers threw acid on this young Kashmiri woman — completely melting her face. But for 24-year-old Shazia (name changed), her agony looks far from over, despite braving continued medical treatment and other challenges to survive. She has just undergone her twentieth surgery at a super-specialty hospital in Chennai. For the survivor, the specialised medical treatment in the south Indian metropolis, that too, far away from her homeland in the Himalayas, has been at a considerable cost. Even though she comes from a humble background, the Jammu and Kashmir government has apparently declined to bear the expenses of the costly treatment. Barring the token amount of around Rs ten lakh — given in compliance with a Supreme Court ruling for such cases — the state declined to extend any further assistance. To bear the expenses, the family has sold off most of their valuables, including jewelry which Shazia's parents had stored over the years for her prospective marriage. Showing a piling-up stack of bills, the family says they have already spent over rupees forty lakhs on the medical treatment, which needs follow-up consultations after every few months, when the patient has to be taken outside Kashmir. It was December 11, 2014, when this then-student of Bachelors of Law met with the tragedy at Kashmir Law College in Srinagar. On the wintry morning, she was just entering the campus, when life took an ugly turn, the splash of acid mauling her face. It was no ordinary acid but the king of acids, sulfuric acid, that the stalkers had used to revenge her resistance to their advances. Apart from consuming a portion of her face and right eye in totality, the attack left her hearing impaired as one of her ears was also burnt. “I can’t explain that moment. Hell had broken down on me. I could neither cry, nor see, nor hear for weeks together,” she recalls. She was rushed to the nearby Sher-e-Kashmir Institute of Medical Sciences Soura, Kashmir’s sole super-specialty hospital, in a critical condition. At the hospital, however, her condition deteriorated, prompting her family to take her outside the state for specialised treatment. Back home in Kashmir, that time, it had remained a blind-case for exactly a fortnight, with no clue about the perpetrators of the crime as the victim had been unable to converse with police. Finally, it was due to the coordinated efforts of the team of three IPS officials — then-IGP Kashmir AG Mir, SSP Amit Kumar and Rayees Mohammad Bhat — that the case was cracked with the arrest of two youth in their 20s, both hailing from Srinagar itself. As per the police, the mastermind was identified allegedly as Irshad Ahmad Wani aka Sunny who had been stalking the victim. The perpetrator was identified allegedly as his friend and business partner Muhammad Omar Noor. Under trial, the duo has been languishing in a local prison since. Police say it was one of the most meticulously-planned attacks ever executed by stalkers in Kashmir. The accused had closely tracked the young girl's movements and visited the crime spot some seven times before targeting her. The duo is also accused of having procured two liters of sulfuric acid from a shop in the summer capital to meet their ulterior motives. But, for the victim’s family, this misfortune didn’t come alone. When she was battling for life, her father and the family's sole bread-earner, who ran a small shop, met with an accident. Having suffered serious injuries, he remained bed-ridden for months. Dependant on crutches thereafter, his physical inability affected the business at his shop on the ground floor of their humble dwelling in the summer capital. Sometimes, there is no end to agony. Or to irony. Her demand for rehabilitation through a government job has a reason. 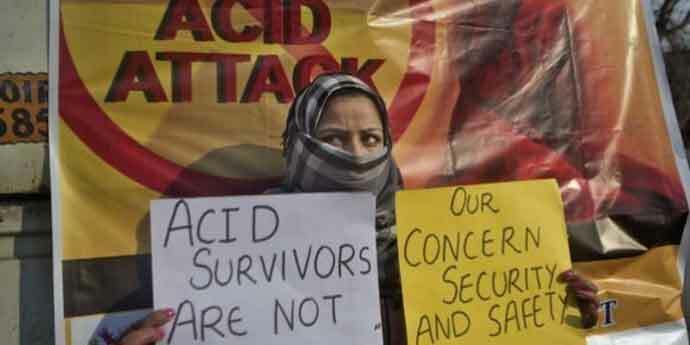 Just a year before the tragedy struck her, in a similar incident, another woman hailing from Srinagar had fallen prey to an acid attack in 2013. That victim had recovered soon. 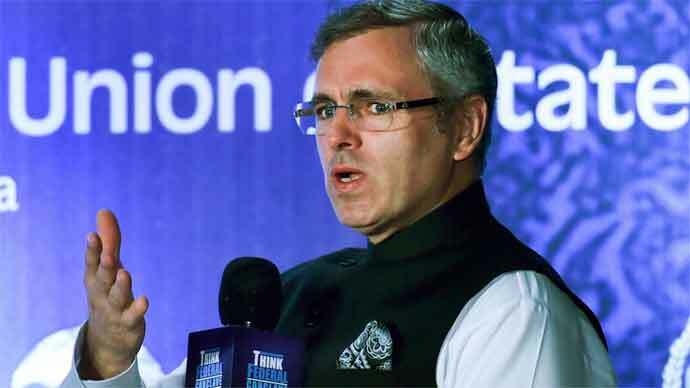 In a humanitarian gesture, within a month of the incident, then-Chief Minister Omar Abdullah had sanctioned a government job for her as a special case. 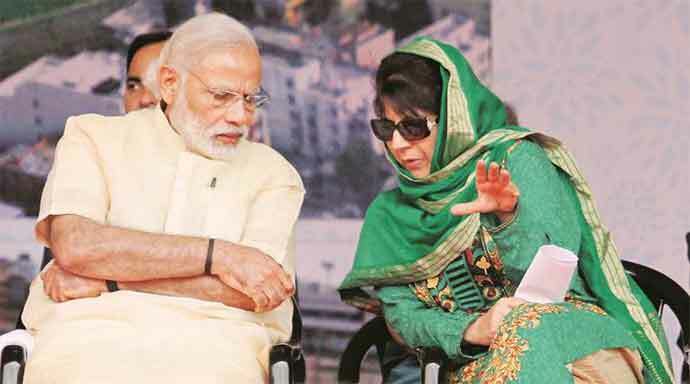 Abdullah had reportedly sent the job order to her residence through his aide and junior minister Nasir Aslam Wani. But Shazia wasn’t that lucky. Within a week of the attack on her, the 2014 Assembly elections were over in the state. Subsequently out of power, Omar apparently never showed concern towards the victim. Nor, reportedly, did his successor Mehbooba Mufti — the state’s first woman CM. As per the family, even a mere appointment with Mehbooba didn’t occur during her regime. Finally, in June 2018, the family had managed to contact the acclaimed intellectual and then the Chief Minister’s advisor, Professor Amitabh Mattoo. And he vividly remembers that. Pained to know about the tragedy, Mattoo says he had promised the family respite within a week as he decided to raise the issue with Mehbooba. But, as fate had it, the very next day, the Peoples Democratic Party-Bharatiya Janta Party alliance collapsed, following a withdrawal of support by the BJP. The victim subsequently approached Raj Bhawan with a written representation for rehabilitation. “Due to severe burn injuries, I even lost vision of my right eye. The medical treatment is still not over. Over the years, in six phases of medical treatment, I have already undergone as many as nineteen surgeries,” the victim had written in her representation. Confirming having received the memorandum, the state’s Law Secretary Achal Sethi said the file has been sent to Governor SP Malik’s Advisor, K Vijay Kumar, for consideration. Meanwhile, in the latest spell of medical treatment, the victim has been operated on for reconstruction of her right eyelid. Lying in the post-operative ward, she complains of “severe heartache”, prompting doctors to get an EGC and other tests done. The doctors tell her parents that apart from the enormous physical pain, the patient suffers from anxiety, which needs be overcome.